The GradRat comes in two ring styles (classic GradRat and Signet Ring), six different metal options and three different finishes (best examined in person at one of our events). For details on pricing across these options, click here. The classic GradRat style remains very similar in shape to the very first MIT Graduation rings. It features all the designs described on this page, including bezel, skylines, and shanks and can be customized in a variety of ways. The department and degree shanks can be customized to include the student's department, graduation year and degree type. The beaver’s eye on the bezel can be adorned with a diamond or a red or clear stone (extra cost, see pricing page for details). All customization options can be explored in more detail here. Over the past years we surveyed the graduate student body about their thoughts on the GradRat and learned that many of you wished there was an option that can more easily be worn as a casual ring. We listened! Starting with the 2018 GradRat Design, we are excited to add an additional ring style to our offering: The GradRat Signet Ring. Our Signet Ring is a slimmer version of the classic GradRat, showcasing the same main design on the bezel. 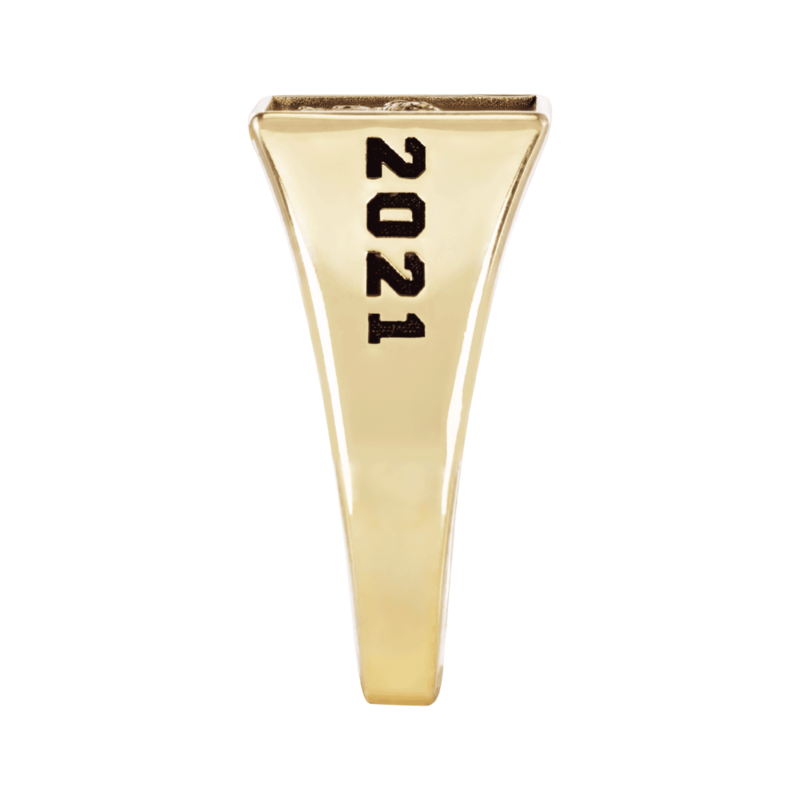 However, instead of the traditional shanks, the ring achieves it’s stylish, slim design with a leaner band that spells MIT on one side and the specified graduation year on the other side. You can order the Signet Ring with a small or medium bezel. 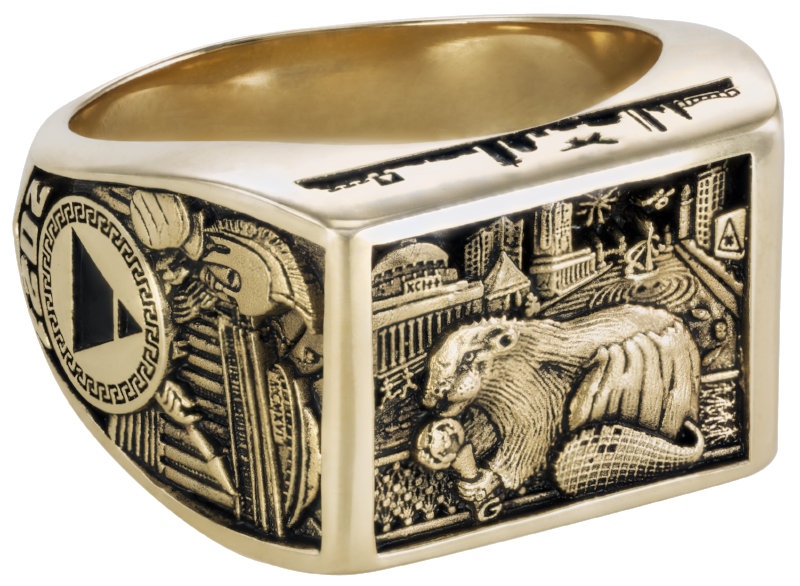 Please see our pricing page for more details and to learn about our special offer to get a discounted Signet Ring as a companion ring when you purchase a classic GradRat in gold.